Hop, skip and jump – just don’t let this Crazy Croc get you! 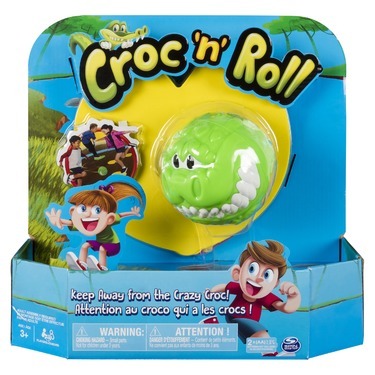 Croc ‘n’ Roll is the fast-paced game that gets kids up and active! It’s easy to get things rolling: place the colored lily pads inside the silly swamp ring, then turn the croc loose – he’s ready to chomp! Once the Crock starts rock ‘n’ rolling, players jump from lily pad to lily pad – but look before you leap! Jump onto the wrong color, step outside the swamp ring, or bump into the Crazy Croc and you lose a lily pad. The last player standing on their lily pad wins! The last player standing is the winner! 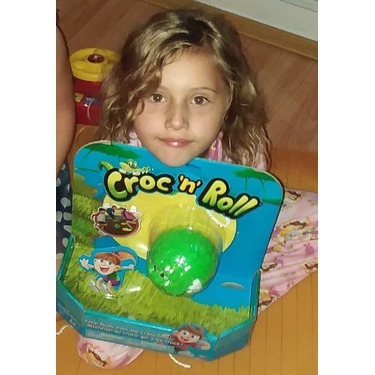 A great party game for kids, Croc ‘n’ Roll encourages players to start moving and develop their spatial awareness as they interact with other players. 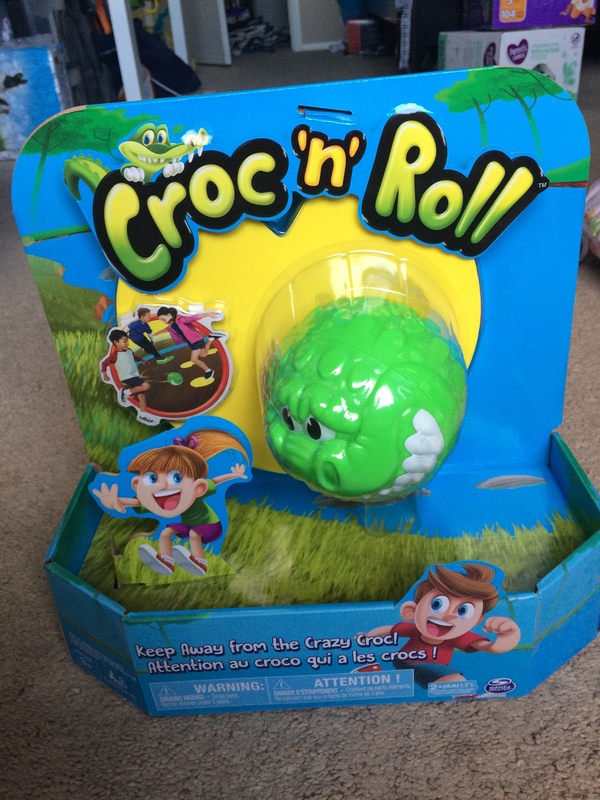 Hilarious and frantic, Croc ‘n’ Roll is the hilarious family game for kids! 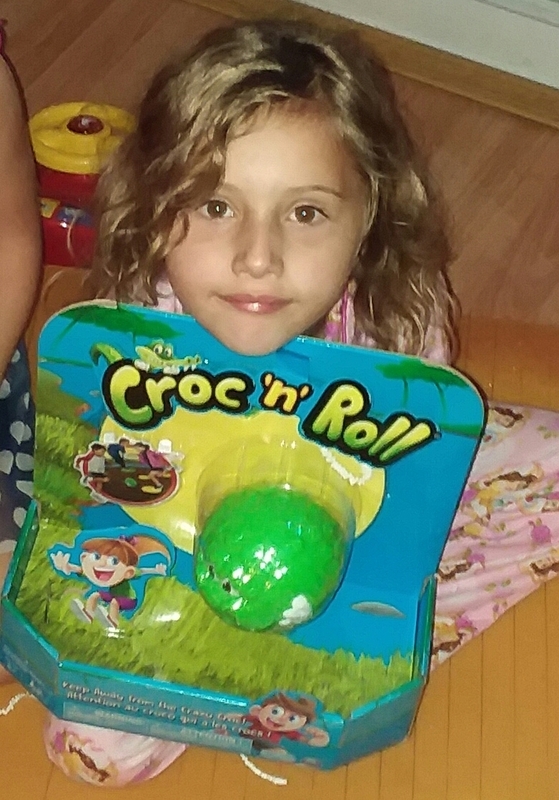 Bring home Croc ‘n’ Roll – but don’t let the Crazy Croc get you! Very easy to set up. My 4 year old and 7 year old absolutely loved it. I love games that keep them active and off of their electronics even I had a good time playing with them. I kind of wish the swamp came with more pieces so it could have a bigger area to work with and more than 3 people can play. They get pretty wild while playing this game. The ball was excellent quality. The instructions were clear and easy to understand! 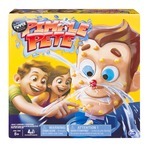 I have children of different sexes and ages and they all 4, enjoyed this game! I think you should definitely try this for your family! Good way to get everyone moving! 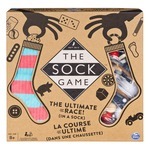 Fun game for the family!!!! I recommend this game for all families. It is really easy to set up. Once set up, the whole game is easy to follow. My kids picked up the concept easily, and tried to see who could beat each other. I loved how once they got started, they worked and played together without a problem. 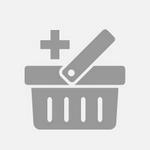 I received this product for free for testing purposes, all opinions are my own. My son is 6 and he had a blast playing this game! 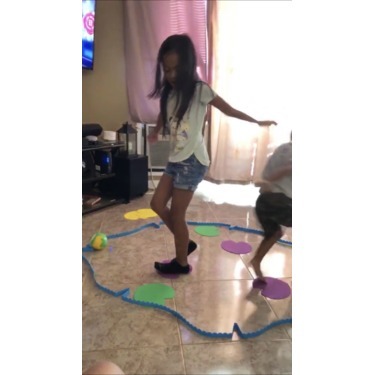 It’s great for kids to get some energy out. The croc seems to have a mind of his own and my son loved being “chased” by the croc. My 9 month old daughter even loved it, I just let the croc roll around her and she got a kick out of it. 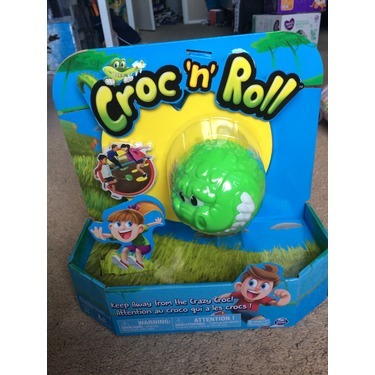 I highly recommend this game, only downside was the little barrier it came with was kind of cheaply made and didn’t always keep the croc in but that didn’t bother my son too much, he actually liked chasing the croc down when it “escaped”. So I bought the game for my 3yo son. 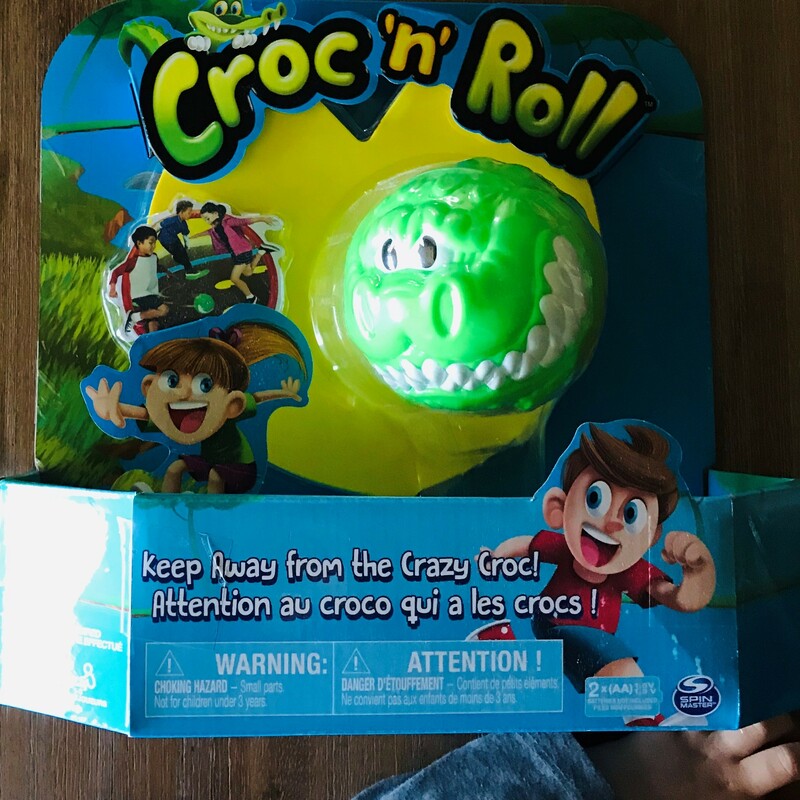 He loves the crazy rolling croc ball. 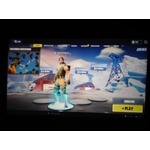 But we are unable to play the game properly for several reasons. The swamp is small and flimsy AF! It does NOT look anything like the picture. The walls are much shorter and it is very light weight-- and I'll go on about that in a sec. It says for up to three kids to play, but my single child has just enough room to avoid the croc ball-- and that's at full size; the game wants you to decrease the swamp ring size for single player. FYI: There is no storage container for this, so set aside a shoe box. Most everything should fit on an double-sized one-- one for like work boots or something. So if you have carpeted areas in your house, these will probably be the only problems for you. However, we are all hardwood and vinyl, and let me tell you, if I'd known these issues I'd have never bought it. Before even playing, I tested these lily pads it comes with. They are made of craft foam. 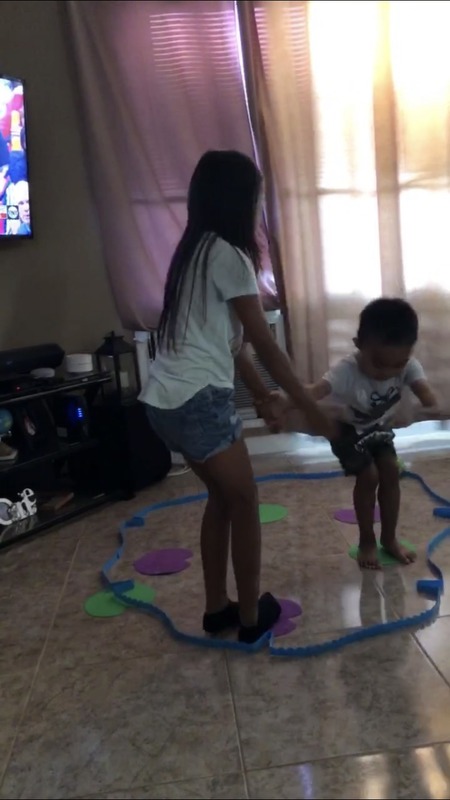 There is nothing that keeps them from sliding over the floor. 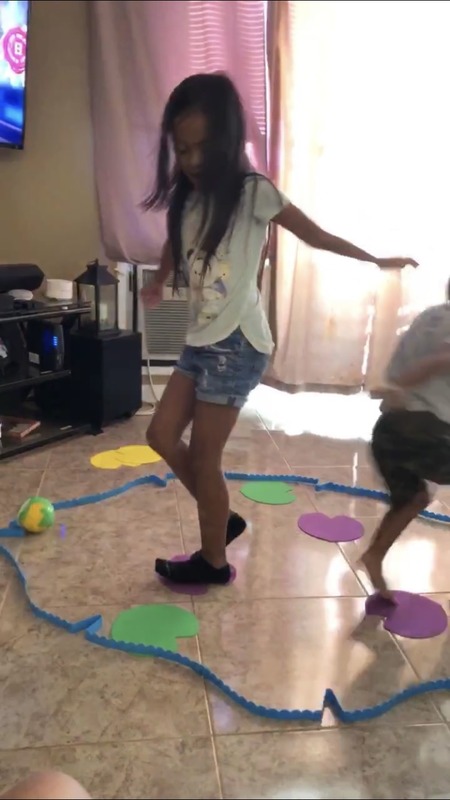 I get the kids are supposed to just stand on them, but what excited child is going to gingerly step on a foam lily pad??? So that's a hazard. We skipped out on those (with unfortunately grand protest from my son). The swamp ring MOVES with the croc ball! It doesn't just go a different way when it hits the wall, it drags the wall with it until it decides to change direction! The lily pads, I can solve by gluing that no-slide stuff for rugs to one side of them. The price of the game, for a game that gets your kid on their feet and moving, is worth getting that to add to it. But the swamp ring is another story. I have no idea how to keep it stationary on my floors without putting objects around it, which can be a tripping hazard and enough of them to keep the thing put. At least the ball works great and my son likes being chased and chasing it. But for us, that's about all it's good for. 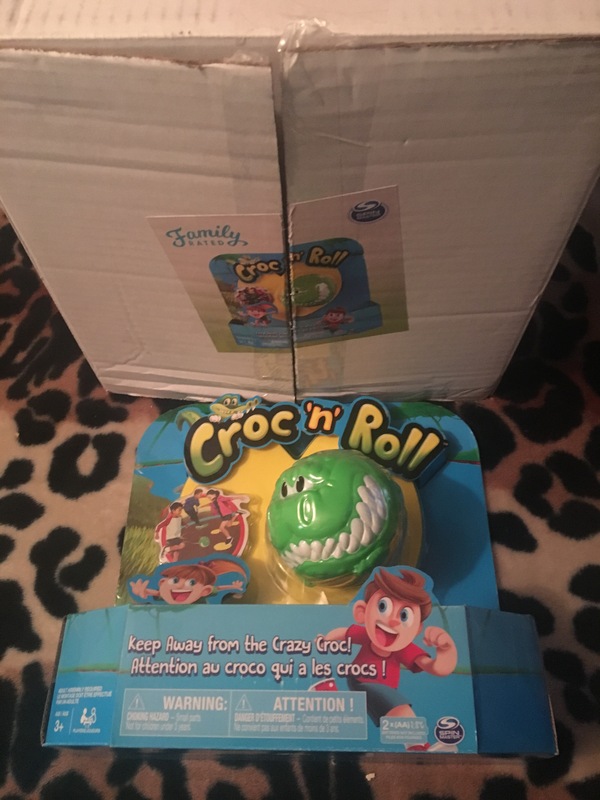 My children loved the Croc N Roll. The game kept them occupied for a while. The game kept them active. Different than the other games bc they actually have to get up and move. Great fun for whole family. 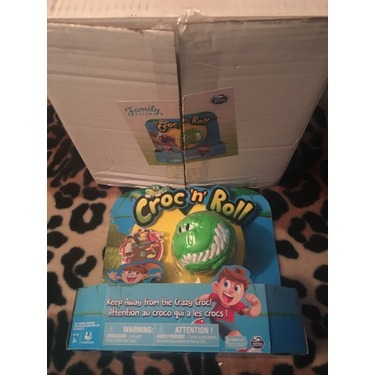 I received this Croc and Roll game for free in exchange for an honest review,just in time for my children to need to play indoors due to the weather.The game was so much fun and encouraged physical exercise as the kids hopped and jumped around.They literally played for hours.Even the toddle enjoyed and started learning colors from listening.My only con would be the "fencing needs to be taller" as the croc would get out alot.Botton line this product is great fun for the whole family. This is a really fun new game. 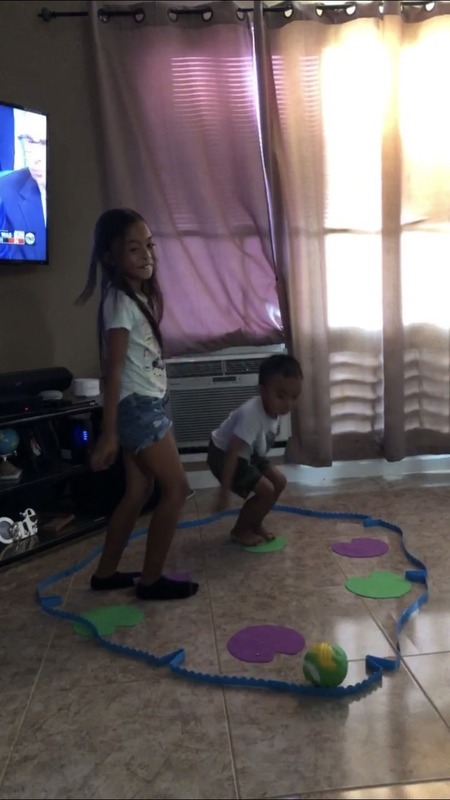 My nephews came over and my 2 daughter played it with them. They was laughing and yelling for a long time. They had a blast. I would recommend it to anyone with young kids that love games. It kept them entertained for a very long time. 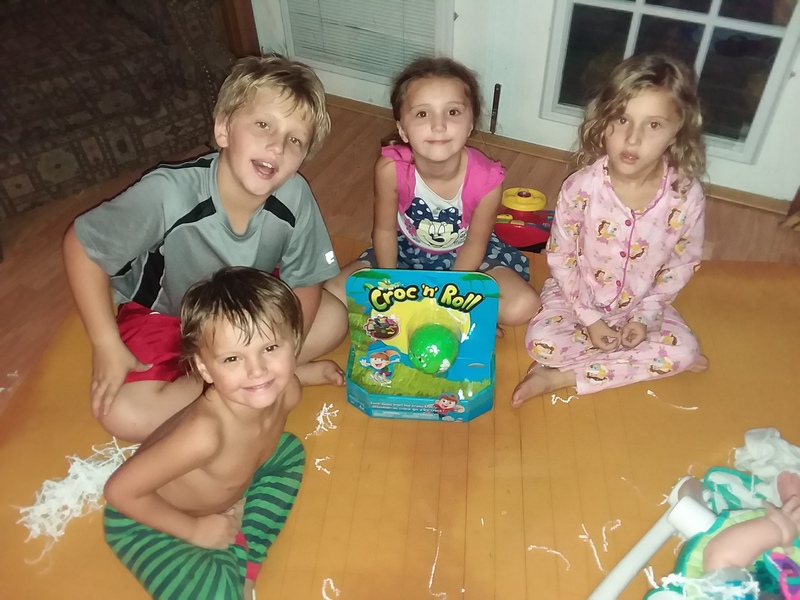 I received this toy free from Family Rated! It was made very great! 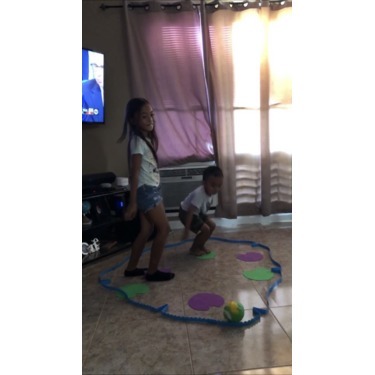 My children had so much fun with this toy! 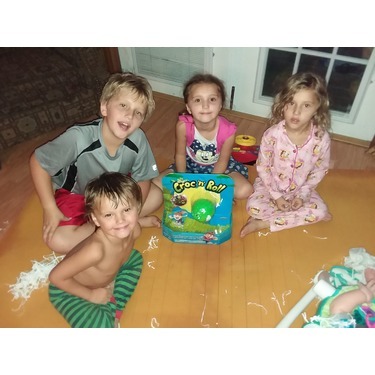 This game kept them entertained for hours! I would recommend this game to anyone with children! It's a must try game! I'd buy this game again and again!! Overall impressed with this game!